Thank you to all those who have prayed for my friend LP's release from the National Penitentiary in Haiti. Today it was determined that there is not enough evidence to charge him. You can read more here. Thank you, thank you, thank you. We serve a God who hears and answers prayers! At this moment cholera is killing people, thousands of people. Parents are divorcing. People are in need of lifesaving surgery. Innocent men are sitting in dark jail cells. Teens have died in a house fire. And yet we pass each other in the store or on the street or even in church and wish each other a Merry Christmas, a Happy New Year. I have felt very little of the peace that is supposedly on this earth in the last six months of my life...the world has seemed pretty dark. But the truth is the Baby came. He came into a world that was confusing, lost, and unjust. The King of Kings and Lord of Lords broke through the silence that night, probably (and hopefully) screaming like any other newborn, and his cries changed everything we know. The darkness was perhaps brighter, the cold was warmer, the deaths seemed easier, the broken relationships seemed bearable, the injustice seemed like it just might be made right. Sometimes I forget. He brought us peace. That Baby that came..? We treated him like we treat most things we are given. We took advantage, used, abused and killed that Baby. But in His death all the darkness was defeated. The world that often seems confusing, lost, and unjust was redeemed, made new. We no longer have to look at sickness, death, betrayal, and injustice the same. Because God used that Baby to give us Hope. To fix our mess. To save His people. Sometimes I get bogged down by the brokenness. But the pieces actually will fit together. I confess I can't see it everyday, but then I'm reminded about that Baby crying out for peace and I know that despite the darkness it will come. Re-reading my post from January 2010 was very enlightening. This has been all over facebook (and FOX and CNN) for days now. But if you haven't heard, a friend of mine, who has been serving in Haiti since January, Paul Waggoner (Little Paul=LP), was falsely charged and imprisoned in Port-au-Prince's Federal penitentiary. He is accused of kidnapping a child that died in February at a hospital where he was working. The charges are obviously bogus to all of those who know Paul and should be dismissed by the world as the child's signed death certificate is readily available. Please pray for him and his best friend Big Paul (Paul Sebring) as they fight for justice in a severely corrupt society. 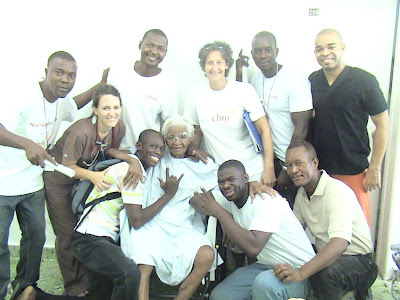 The Paul's established MMRC, an NGO that helps distribute supplies among hospitals in Port-au-Prince. They were life-savers in the flesh for me many times as I needed blood, medicines, and supplies that they somehow were always able to produce. 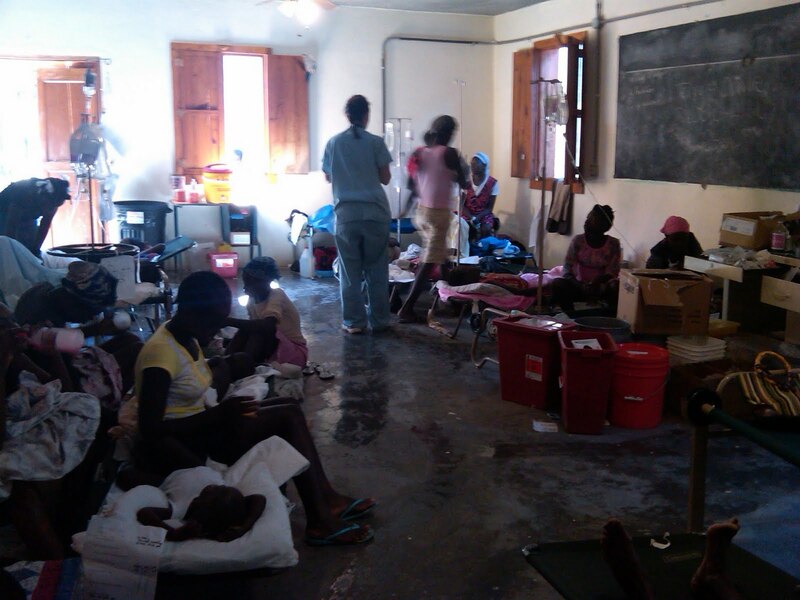 They have most recently been working without sleep fighting the cholera epidemic. 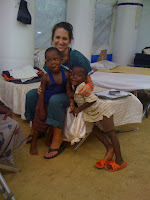 I traveled with them up north to work at a cholera clinic in early November. These guys are the real deal. LP is a good ol' boy from Alabama, and he deserves to be home for Christmas. Please please please pray for him. my cat in Haiti was awesome. Oh God, why is LP still in jail? What if I had stayed till Friday and been with that patient when he died Thursday morning? ...I knew I wasn't worried about him for nothing. I haven't had anyone hit on me in like...four days. Olives taste so unlike everything Haitian. I'm glad we're all in the States right now, but who the heck's in Haiti? Why am I still eating rice at almost every meal...I guess it's my new comfort food. How much does it cost to call Haiti? I wonder if I even like sweets anymore...they make my stomach hurt. ...Maybe my stomach ache isn't from sweets. I have almost said "Mesi" to every holiday register girl. I wonder if anyone I know speaks Creole....my cat certainly doesn't understand it like me-me does. What are the translators doing!? There are no white people at the hospital. The street is so clean. I don't even like make-up, why am I wearing it. 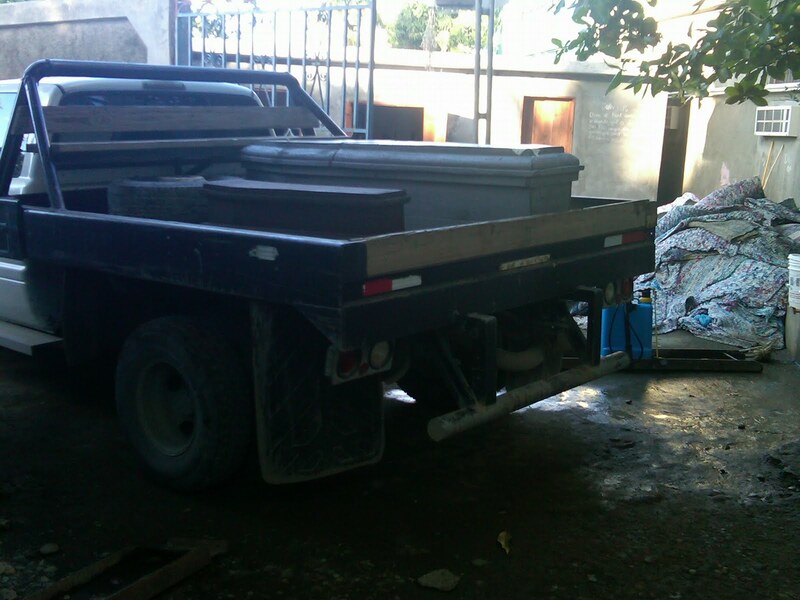 Port-au-Prince needs MMRC. This is terrible. I wish I was with Big Paul right now. I am so glad Sondy is at home. They announce the election "recount" today. Interesting. How much will my phone bill be...if I keep texting Farah. I (like Sarah) had forgotten that obesity was such a problem. I bet this is the first time there haven't been Americans at HAH since January 14th. Why would anyone need this many clothes? WTF. Why is LP in jail!?!?!? Oh crap, she's not staring at me cause I'm white...why is she staring at me? In all things, we know that. You keep us by your love. It's been far to long since I have posted. With Dr Scott's arrival, my wonderful sister-in-laws venture, and "civil unrest" in the county, things have been more than a little busy around here. That being said, AHI (my NGO) has asked that all ex-patriot volunteers be out of the country by today. The elections have seemed mostly uneventful so far but there is definitely strange air around. The last several days have happened so fast that I doubt my brain will even understand that I'm leaving until I arrive in my parents home tonight. I am excited about going home. It is time. I don't know when or if I will be back in Haiti but God knows already and will straighten that out for me when the time comes. 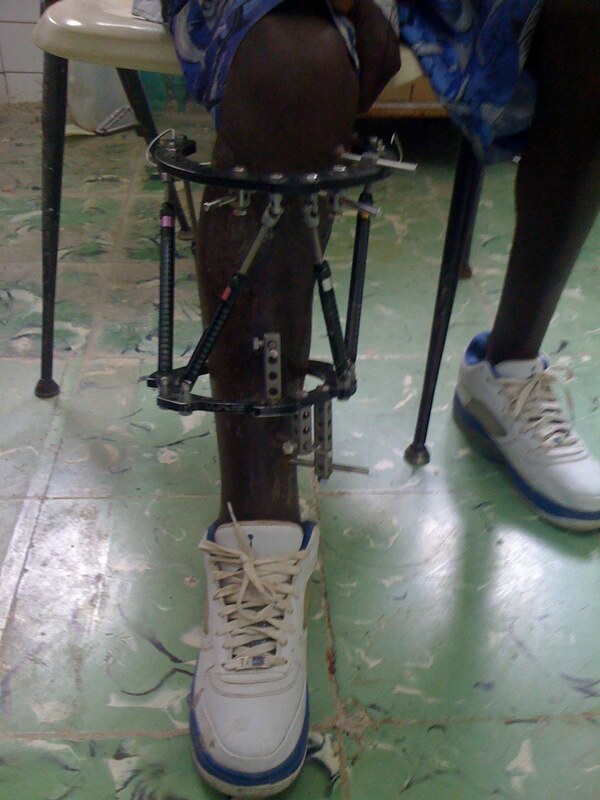 6. seeing crazy bone deformities fixed that would never have seen an MD if the earthquake hadn't happened. Hey everyone, I am trying to raise $280 to get a CT of the brain for a cancer patient I am currently taking care of. We are trying to get him Chemo that we think can save him, but like healthcare in the US, things cost money. He needs a CT for evaluation. If I raise over the desired amount I promise all other funds will go towards patients needing treatment (ultrasound, EKG, CTs, medicines) that they cannot afford. See below and thank you for considering. Last night I rode back from a health conference with a beautiful, brilliant, young Haitian doctor. We were talking about the Haitian people. She said that often her people are rude. She said that it's hard for them. Specifically the uneducated people. For them everything is a fight. It's a fight for food, a fight to get on the tap-tap going in the right direction. A fight to sell each piece of fruit and every soda. It's a fight to survive. Especially in certain areas of Port-au-Prince, like Carrefour. She said they get so used to fighting everyday that their entire life and attitude becomes just that, a battle. She said she wishes that they weren't rude sometimes, but she understands it. She believes it's her duty to help educate them. Aid them in survival. To show them grace. It's so easy for me to forget the trials they face everyday while I live in a sturdy building with (usually) clean water and (sometimes) electricity. But all you have to do is ride across town to remember. I think we are all fighting to learn here in our own way. I'm going to be honest. I've had a really hard time with the Haitian people. In general that is. There are always exceptions...to well, everything. Except maybe that God is good...but for most everything else. I've mentioned before that Haitian's are strong and patient. Resilient. But they are frustrating. They take and take and take and expect more. There is a white price and a Haitian price for every item on the street. It doesn't matter if you've been here six days or six years. They will always charge you more. They think we owe it to them. No matter how many times I explain that I am here for free, not getting paid, they think I'm rich. They believe I have money and I should give it to them. They deserve it somehow. But then I got fed up. A middle age patient who'd been walking around with a bullet in his leg limping terrible with a grossly affected femur got to me. I'd been advocating for weeks for him to have surgery as some physicians put it off on "the next guy." I'd made sure he and his daughter had enough food. I brought him juice. He had free medicine, free food, a free operation, free lab work, free xrays and far more than a free full days work from me. He did well after his surgery. He was given everything he needed and more. When it came time for discharge he looked at me, happy but exhausted from the days work, and said, "aren't you going to give me money to go home?" I about fell on the floor. I'm sure I rolled my eyes and looked at the translator. "I've given him everything I can, he hasn't paid a cent his entire stay here, but he needs to get himself home." I was done. Served out. About ready to throw in the towel. I have talked with other expats here many times about how we don't understand the common “Haitian attitude.” We've given up comfort. We've given up good paying jobs and regular meals. We've given up hot water and air conditioning. We've left our families and our cars and all that is familiar and easy. And everyday they ask us to give MORE. Sometimes it's food. Sometimes it's money for school or a laptop or a free ride. Sometimes it's diapers or formula or your ipod. And me in my sinful self simply wants to say...don't you think I've given you enough!? How terrible my attitude has been. He humbled Himself and became obedient to death. Your attitude should be the same as that of Christ Jesus. I kissed an eight month old baby goodbye today while his mom cried. She took him to an orphanage so that she can find work. She is seventeen. She's been living here since shortly after the earthquake and our administration has mandated that all the tents be gone by October 1st. What day is it? I gave her the money to take him into the countryside to an orphanage that will allow her to visit. I've been so torn about it. When talking to Brooke she said, "think about it though, if we were in the States we would encourage a 17 year old to put her son up for adoption, we wouldn't think it was wrong." The difference here is he won't be adopted. I've heard that many of the children in orphanages here are not orphans at all. Their parents simply cannot afford them. What makes it even worse is that this baby is HIV+. 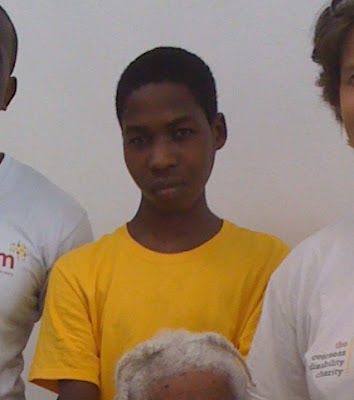 When I was in Tanzania it seemed that there were orphanages all over the place for HIV/AIDS kids. There is one in Port-au-Prince. It's full. I probably won't see David again, but it's my prayer that his mom is able to care for him again someday. It seems hopeless in a world where educated, trilingual men can't find jobs, that a seventeen, uneducated, sick mother would. But who knows. Pray for her and for me. She will still be living close and I hope that I'll still see her often. I get it now. Since January I've heard complaints about the great loss of art in the earthquake. 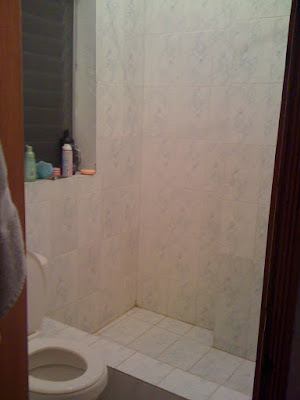 I read an article in Smithsonian Magazine that my father gave me during our time in the Dominican. It told about the hundreds of paintings lost in the rubble worth thousands of dollars. I never really understood what all the fuss was about. On the road to Petion-Ville and even around the palace downtown there are streets lined with "artists" selling their wares. Most of it is brightly painted metal and canvas. They are all okay. If you are up for the harassment you might occasionally find something worth stopping to look at. I'm not big on folk art, which is what I guess most of it is called...the rest of my family would actually know...but other than market scenes and occasional jungle animals it's mostly unremarkable. The Galerie Nader changed that for me. I went to Petion-Ville with one of the groups last week and the most important stop was this art gallery. A few of the team members had been there earlier in the year and wanted to go back. I'm not sure if it's the stark contrast to the dusty, trashy Port-au-Prince streets, or just the fact that you walk out of mud onto pearly white floors cooled by air conditioning, but the place completely comes alive. It's small, which is my idea of an art gallery, and the walls are over 15 feel high. Covered, from toe to ceiling, with paintings. I discovered that the dusty canvases lining the streets are, in fact, replicas of some pretty amazing pieces of art. There are few that I would purchase for my living room, but the faces of Haitians selling, dancing, meeting, and even sacrificing are pretty compelling. There are obvious voodoo roots in some pieces and angelic scenes in others. It made me realize that when my Haitian American friend said that "all that Haiti has going for her is mangoes and art" the art might actually save her. 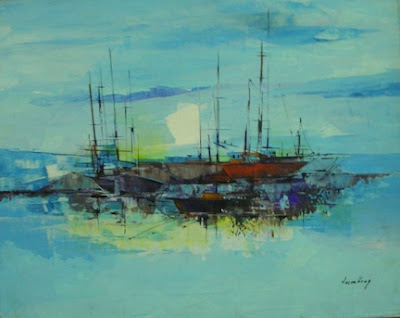 Valbrun Jacques is by far my favorite and his oils cost upwards of $6000 USD. The gallery caretaker told me that he died a few years back, likely increasing his going rates but I wasn't alarmed by the price. 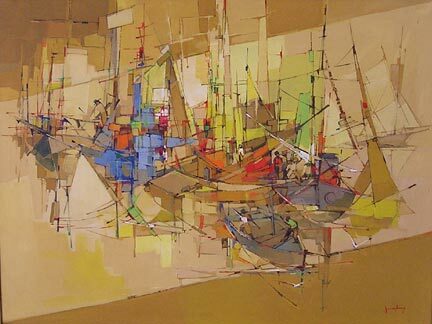 Third world countries don't have to produce third rate art. I think too often when we come to a place like Haiti we think that the filth, heat, and disease cheapens the country as a whole, and it's not true. Beautiful people produce beautiful art all over the world. And the contrast in Haiti just makes it all the more compelling. I've once again decided that I need to be taking formal Creole lessons. I'm slowly getting better at understanding it. But speaking is still difficult and it's so much easier to just use a translator. Maybe Amy and I can set up some scheduled formal lessons. I think it's the only thing that will really work for me. A brief update on the patient I mentioned before. He made it through his surgery...which was actaully miraculous, because the next morning he looked terrible. His oxygen sat was 81% and only 93% on four liters of oxygen. He also had a distended, tender belly for the first time. I knew his only chance was getting him out of our hospital back to a General Surgeon. Brooke and I decided from his chest xray that he had a pneumothorax (collapsed lung). His chest also looked uneven and it would explain the 02 sat. We didn't have a surgeon that could place a chest tube...and two surgeons and an IM doctor disagreed with our diagnosis anyway. I called the German Red Cross explaining the situation and basically informing them that they would be taking the patient back. He had his ortho surgeries and we really needed a General Surgeon to evaluate the mess he was quickly becoming. They agreed to take him although their anesthesia was away for the day. The transfer was uneventful and the next day I called a very upset Medical Director to ask what had happened. "That patient caused a meeting of my entire medical staff to assess what happened" he said. "We put a chest tube in him and it immediately dumped 800cc'c of blood (amazing what and ICU and ER nurse can diagnose together). He had a massive hemopnuemothorax." Things went downhill from there. He needed to be taken to the OR immediately due to his internal bleeding but the lack of anesthisia made that impossible. They had tried to transfer him again without success and he had passed sometime shortly after that. Even if surgery had been an option, in a country without a CT scan and xrays diagnosing internal bleeding...the future is bleak for anyone. The GRC felt responsible, for clearing him (before they sent him to us the first time). There was no way for them to know that he'd been slowly bleeding to death inside, and probably the same result would have occurred if they had known. But nonetheless they decided to revamp their system. "Sometimes these things just happen." He'd kept assuring himself. On a brighter note I have a baby kitten. I heard her crying outside my balcony and fed her a couple days before one of the gardeners walked in with a sack holding something. I looked inside and it was my kitten! She's pretty wild and wouldn't let me hold her for a couple days but she's doing well now. I treated her with people medicine for parasites (thanks google) which cleared up her bloated belly in a couple days and she actually looks very healthy now! She still hisses when you approach her but gets over it when you start to pet her. She misses her mommy I guess. Junior (I've mentioned him, he's the orphan that lives with us) named her Maiyla...I need to ask him how to spell it...but it sounds beautiful in his Haitian voice. She'll hopefully be moving into the house with us in a few weeks (Amy said is was okay Nathan =) Maybe it's being optimistic but it looks like things are actually moving forward on us MOVING OUT of the hospital. My little brother David left yesterday. I already miss him dearly! Makes me wish I'd spent even more time with him while I could have. He's a stud, loves Jesus and people so well and is wise beyond his years! Can't wait to visit him someday in CA. Please have a hot brownie and icecream for me. That's what I want right now. This last week was crazy productive with Dr Scott at the steering wheel. Anxious to see what it will be like after he leaves Tuesday, but I think he's cleared up a lot of chaos and questions I've had. Sometimes I think there is no way I can do this for 6 months. Other times I can't think of doing anything else. The emails and prayers are always welcomed. Thanks for reading. Everyone pictured has been here or will be here for at least four months. Thus we consider ourselves the long term volunteers. Luke, David, Jessica, Nathan, Amy, Brooke, Dr Scott. My room got a significant upgrade two days ago. 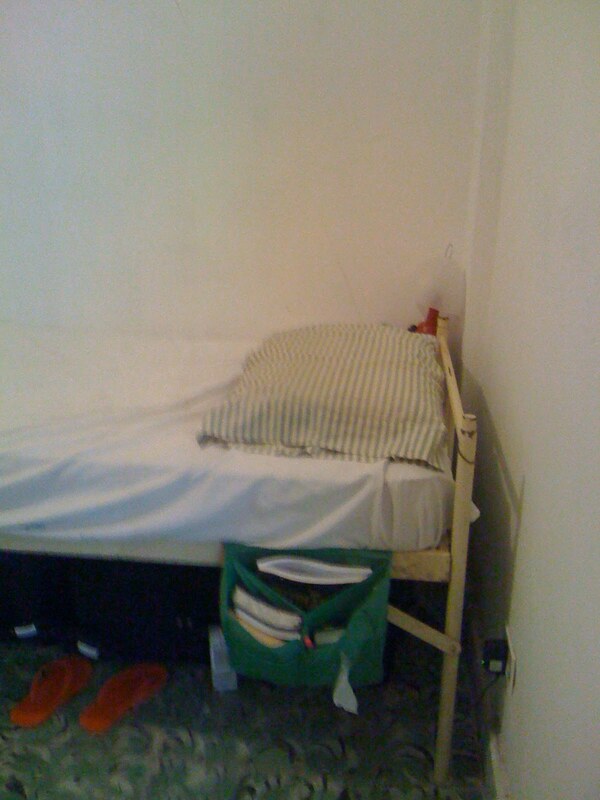 Still no AC but I finally managed to steal a dresser and real mattress. It's funny, I slept better on my cot. this is for Shelby and nurses in general. So Sunday evening, amidst the chaos of having a brilliant new team here trying to get organized and do operations on what is supposed to be the slow day, the German Red Cross decided to transfer me a orthopedic trauma patient. This might have been due to the fact that not 24 hours earlier Brooke and I drove to the German Red Cross’s hospital to get their correct info as they are a General Surgeon resource and it’s nice to see where you are shipping people off to. We had good conversation with them and told them we’d be happy to take orthopedic transfers. We gave them our contact info. So Sunday evening, one of the Radiology techs who thinks he runs the hospital walked up to me waiving papers in my already overwhelmed face telling me in Crenglish that there was an ambulance out front. I read a few words of the report before handing the French words (or maybe they were German…) to a translator and going to see the patient. He was in his 50’s. He had an open femur fracture. Closed tibia fracture and humorous fracture (these were determined later as the GRC hadn’t done xrays). He was bleeding from the goose egg on his head. He reeked of alcohol. He had been hit by a car. The Germans clearly didn’t want to deal with him. The patient was taken to the ER where I went and found the one short-term volunteer ER nurse because I was in the middle of about five other jobs at the time and I at least needed a BP on this patient. The BP was 60/?. The hemoglobin was 6.0 (definitely a surgery candidate with no blood in this country). I wish I knew how to cuss in German. We dumped fluid in him. Got his blood pressure up. We drew his labs and sent his wife with the blood samples and script for blood to the Red Cross at General Hospital (this is the system…the family goes, sits in line for hours or days, donates, and maybe gets blood for their loved one). I spoke to the Haitian nurse telling her the situation and asking her to watch over him closely. We weren’t sure he would make it. He lived through Sunday night. The next morning I learned that the patient hadn’t gotten pain medicine all night and his blood pressure had been taken maybe one time. I transferred him to Pre-op where I knew he’d be watched more diligently. He lived through Monday (hemoglobin 4.8) with a promise of blood at 4pm. He lived until Tuesday with a promise of blood at 8am. At about 2pm the family member came back and told me the Red Cross said there was no blood. We called our other contacts with no results. He provided us with the hundreds of cases of Pedialite last week. I called him. He doesn’t know me from Adam. But told me to give him the patient name and he’d take care of it. He texted me about 30 minutes later and said to be at General at 7pm. I would have two units. I walked into General at 6:50pm. Brooke dropped me to go by the TB clinic. I walked past about 20 people waiting in line with their coolers. Holy crap, I forgot the cooler. I spoke about 5 words of Creole. He spoke about 5 words of English. I gave the blood tech the patient’s name. I think she said it was almost ready. I lied and said the cooler was in the car. He believed me. Brooke came in without the cooler. She lied and said the cooler was in the car. He told us to go get it. We lied and said the driver was coming. He knew we were lying. Brooke left to go see if Big Paul had a cooler. I waited some more. I noticed a girl with a goiter about twice the size of her neck waiting in line I’m sure for blood that would enable her to have surgery. I suddenly felt sick that my blood was going to a drunkard who walked in front of a car. I am white. I had connections. I had walked to the front of the line. I waited some more. The lab tech brought me a cooler. (Guess I should have told him I forgot it to begin with). Big Paul walked in with no cooler. It didn’t matter. I had the blood. I walked past the girl with the goiter and the other patients waiting for hours…or days. We only got one unit of blood. That’s okay. I hope the girl with the goiter gets the other one. I gave the blood to our patient’s nurse back at Adventiste. She hadn’t hung it when I came back 30 minutes later. I asked her why and she said the patient had a temperature and she couldn’t hang it when the patient has a temperature. I didn’t understand. I told her the blood would expire in four hours and it had to be hung now. I explained the importance of watching the temperature baseline to make sure he isn’t having a reaction, and that didn’t matter that he had a temperature. She wouldn’t do it. I asked Brooke what to do. She said….yeah, it’s that cultural hot body, cold blood thing. Trying to respect her education Brooke and I explained that the patient was going to die without the blood and that the risk of hanging it while he had a temperature outweighed the fact that not hanging it meant certain death. She wouldn’t do it. Brooke and I asked if we could hang it ourselves. Then decided to compromise. We gave Tylenol immediately and left for half an hour. We would now have about 2.5 hours until the blood expired. 30 minutes later the plan had worked. Brooke said he was afebrile and the nurse was hanging the blood. He’s getting it now. Dr. Scott says if his hemoglobin is above six he’ll take him to the OR. Maybe he’ll go in the morning. For now we’re just waiting. 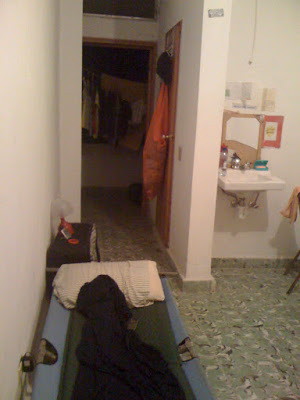 Quito is a patient whose dressing I changed everyday I was here short term in May. It was probably the most extensive one I did. 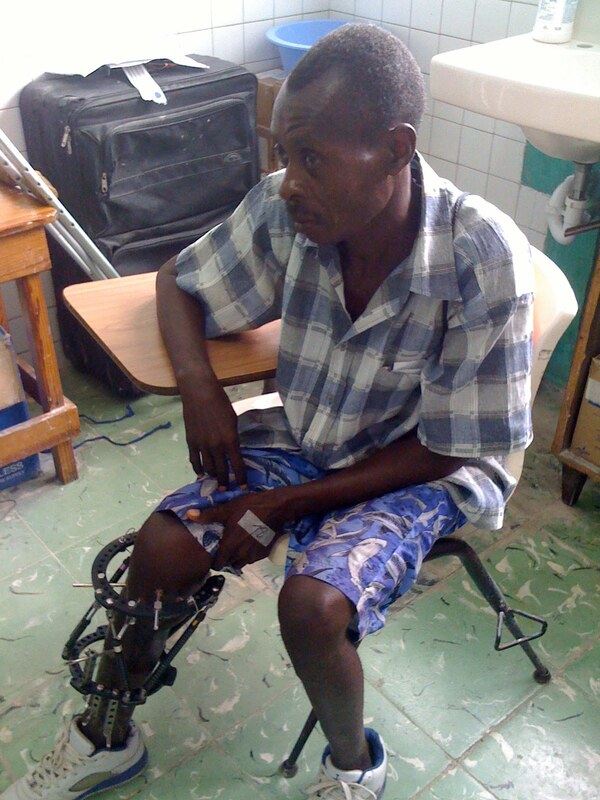 He came into clinic on Monday with a completely healed leg. He had his external fixator removed. Dr Scott said that he was one of those patient's they went back and forth about amputating. So glad they didn't. First pictures are from May. The other's from Monday. I missed the picture without the exfix. But known that it was incredible. Today I rode on a moto. I discovered it’s much like a magic carpet. If you keep your hands and arms inside and your eyes closed you’ll come out alright. There aren’t really taxis in Haiti. There are the infamous taptap’s which look exactly like and function the same way as dala-dala’s in Tanzania. They are brightly colored pickup trucks and vans with open backs. People pile in and hang on for dear life. You bang on the rusty metal top to let the driver know that you want out. I’m sure I’ll ride in one eventually. But today we opted for the moto. My good friend Frantz’s mother runs an orphanage about two miles from the hospital. We had a surplus of diapers and Pedialite delivered this week so Frantz and I went to deliver some. A moto is basically what Georgians would call a dirt bike. Some are actual motorcycles. But the drivers roam the streets and you simply yell out “moto” to get one to stop. You climb aboard after haggling over the price and distance of your destination. Brooke has been taking them across the city for a few months and has gotten comfortable with it. I wouldn’t do it by myself quite yet. I ended up sandwiched between Frantz and the moto driver and decided that as long at my knees were tucked in as close as possible I would survive. I wasn’t really scared, but quite convinced that we were going to take out a few children and even a goat. We never did though. The motos swerve between cars fearlessly and even take uneven terrain with ease. I was pretty surprised. I am slowly adapting to the Haitian way of life. Having the power out for over eight hours today made me realize that even with little resources we take many blessings for granted. Andre, who has had a fractured arm for seven months finally had his surgery today. He has come to clinic at least every week that I have been here, sometimes twice a week and between physician preference and just time he was put off until today. I can’t wait to talk to him tomorrow and see how he feels. He is such a sweet man. This week has been pretty slow for me as I haven’t felt well and have actually managed to take a nap almost everyday. It’s hard for me to not feel like I should be working every hour, but I’m starting too relax. Some major bridges have been built between the ex-pat staff and the Haitians. The nurses and two of the Haitian MD’s round with us every morning now. It takes a lot of time, but is so beneficial to build those relationships. We have to empower the Haitians to take charge of their hospital. Especially the nurses in caring for their patients. They don’t take ownership the way American nurses do (or ICU ones at least). It’s a shame. But education and just offering to help them has made so much difference. Baby steps…but all in the right direction. BLOG JACKED!!!!! 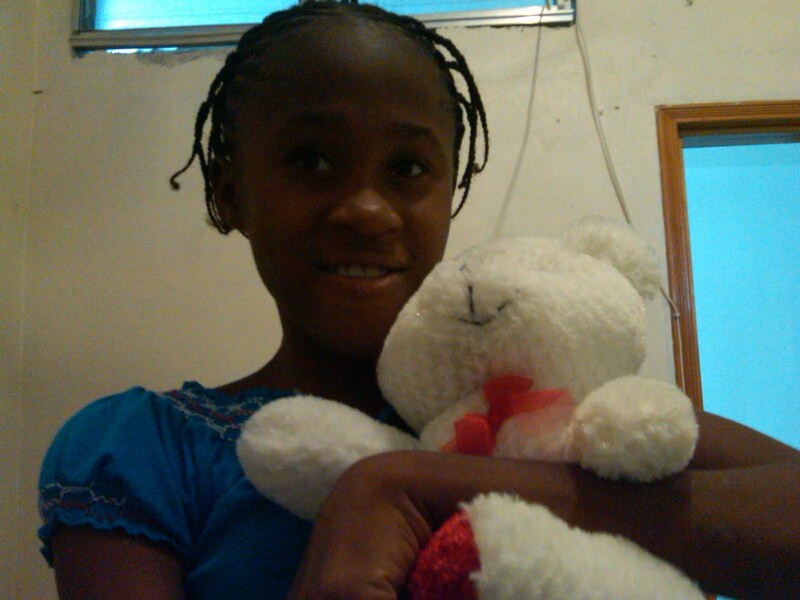 Hello friends and family of Jessica. My name is David Harris and I'm taking over "Therapeutic Connection" tonight! I've been at the hospital doing supply and "logistics" since April and I'm only here through next week! It's bittersweet. 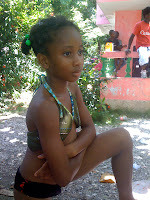 You can read my blog at davidinhaiti.blogspot.com. It's crazy how things often change quickly. If you happened to be on www.nhc.noaa.gov (the hurricane watch site) at around 3pm local time, 1pm west coast and 4 pm east coast, you would have seen a pretty big storm move over Hispaniola. Seemingly out of nowhere, strong winds blew, heavy rain poured down, lightning flashed, thunder crashed, the whole nine yards. People all around ran for shelter as water leaked into patient rooms and there were mini-floods in the hallways. But within twenty minutes the worst had passed, the water dried up, and now the skies are clear. (Jessica's gonna hate me for this...) It's kinda like how at the end of this month, the long term ex-pat volunteer population here will suddenly drop to three. Brooke and I will be leaving within days of each other. Luke took off last week. Although former "long termer" Dr. Scott Nelson and future "long termers" Terry and Jeannie Dietirch will be around next week, they'll also be gone by September. Next month, will definitely be a transition period at our hospital. New faces will be filling vacated positions, responsibilities will be shifted, there's still a lot of uncertainty, and plenty of potential for chaos. But God is working here, the "storm" will pass, and His work will continue. Please continue to pray for everyone involved down here. Well if you ask David he says that it hasn't been a month yet. Since I arrived on the 16th of July. But I've been here for four weeks and I consider that a month. It's been absolutely insane. But I have no doubt that this is where I am supposed to be. This month has been hard but I have no doubt that it was the easiest of the six. When August ends there will only be three Americans here full time. That makes me kinda nervous. But God has called everyone else to amazing things. Brooke and Luke have both taken jobs in Haiti with different organizations, and David is returning to beautiful CA to finish school. Last night I sat on the hospital roof with mountains to my right and back, the ocean in front of me and the sunset to my left. It was the first time I think I've had silence in a month. I was able to think clearly and sing and pray. I was able to feel like God was surrounding me. Everyday is difficult and often disheartening. But I'm learning how to deal and work around obstacles that make our jobs difficult. I'm seeing that God has a small group of us bridging this gap for the hospital...between long term physicians that are really going to turn this place around. We often feel like we're completely strung out and unable to see much good come from our efforts, but I have no doubt that God is smiling and going to reward our work. I've met some incredibly faithful men and women, Haitians and Americans, Canadians and Brits all here serving, sweating and hoping that this country is going to turn around. Haitian people are beautiful and frustrating. Persistent and committed. Eager and often selfless. More than anything they are patient. I've had patients wait on cots with one meal a day for five days to have their bones fixed. They rarely ever complain. I freak out when my patient has been told not to eat (for three days in a row) and never made it to the OR. But they usually just say okay, I've been waiting for seven months...what another few days? It amazes me. I'm not patient. The Haitian people are trying to help me be. I'm a slow learner but they are very committed. I realized yesterday that I've been here awhile and still speak little if any Creole...it's because I don't make or have time to study. But I really believe I need to make it a priority. How do you show love to people you can't communicate with? It's very difficult. Pray for that. Pray for wisdom in friendships and strength to get everything done. Pray for patience and peace. I don't miss home yet. I am often tired and frustrated but rarely unhappy. God's grace is enough and He is the sustainer. Me and Jeanty the great! This used to be an orphanage, well i guess it still is...tents full of orphans at least. 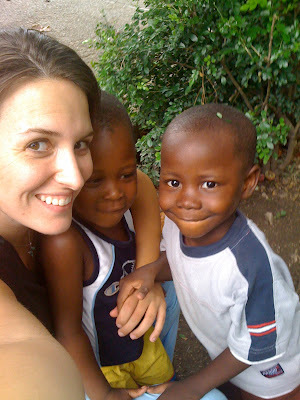 Monday was my worst day in Haiti. The only one I’ve really hated actually. I don’t know if it’s the chaos of orienting new people every Monday or the fact that everyone gets sick or injured on Mondays. And Brooke left me for several hours (it’s okay I still love you). Somehow the day managed to end. This week has been a very different feel as the Ortho surgeon is a Pediatric specialist, and with few Peds surgical cases we are only doing about one case a day. Kevelyn was transferred back to us (we transferred her to Miami’s hospital for a general surgeon and they sent her back…also contributing to my Monday). 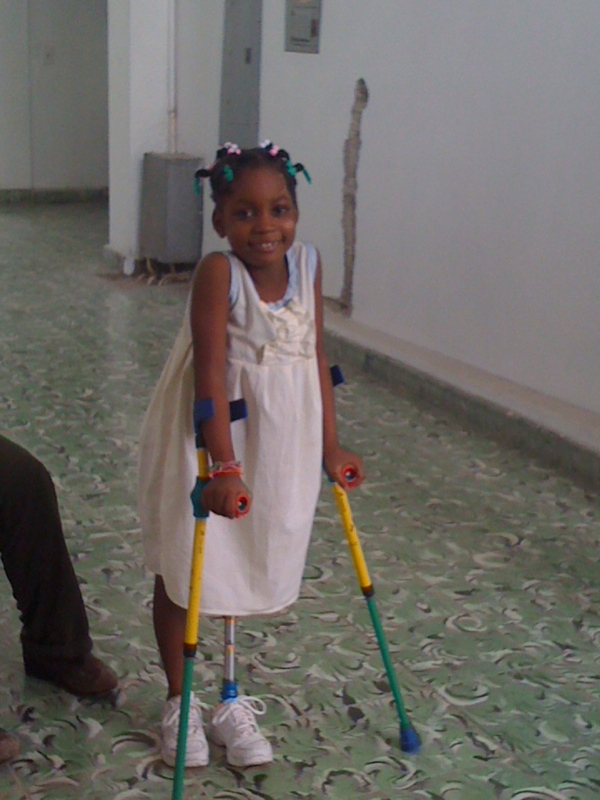 She was in a car accident last week with bilateral femur fractures. We discovered yesterday she also has an ankle fracture. That’s what happens when we try to conserve xrays I guess. Pray for her. She has a long road ahead of her. She’s already fighting infection as Miami did not give her any antibiotics for three days, and she still really could use a transfusion. But there is no blood in Port-au-Prince. (Although I saw one private pay patient being infused yesterday….amazing how that happens). Everyone seems to be counting down the days for Dr Scott to return for his brief stay. I think we’re all hoping his medical knowledge and male leadership will help to organize things again. I finally got a list of all the labs we are capable of doing. Now if I could just memorize the medications we have….which is impossible because they change with each incoming team. Some things will never get easier, but many are. I had to put my foot down for the first time yesterday regarding a patient’s discharge. There were about six ex-pats arguing whether or not he should depart. I think some of them are still mad at me. But someone’s got to make decisions. 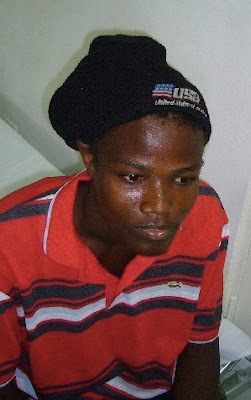 Jeanty, a Haitian translator/OR tech/transporter/caregiver/amazing person keeps a running list of patients without family members. The number keeps growing. 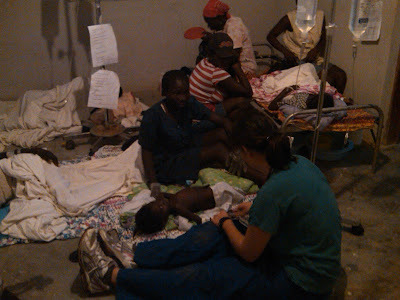 If you are in the hospital in Haiti without family no one feeds you, bathes you, or helps you get to the bathroom. It’s an ongoing struggle. The hospital provides one meal a day. But you’re SOL without family for the others. Many of us chip in so that Jeanty can buy them food, but this is something we’ve got to figure out. We have a sickle cell patient in the ER right now with a hemoglobin of 2.7 and no way of getting any blood. I asked Brooke what they did back in February…it’s not like the “no blood” situation has gotten worse over time. She simply said that the patient’s died. “You do everything you can and then you pray,” Dr Gray said today. That’s the way of life here. I struggle with whether I’m supposed to accept it or not. It’s not okay that the #1 hospital in the country doing orthopedic surgeries has no access to blood... especially when billions of dollars were donated to the Red Cross. But what can you do? You can’t stay angry because you wouldn’t get anything done. So you just keep working and hoping. 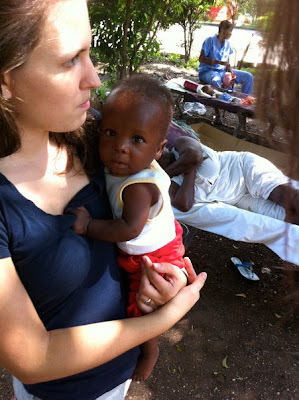 Hoping that the “hope for Haiti” everyone talked about is still out there somewhere. Joseph Stephen was a in-patient when I first came to Haiti on May 12th. He had been admitted in January following the quake and had a severe case of osteomylitis. If you've been here you probably met him. He almost NEVER smiled and if a nurse attempted to do anything to him at all he would scream bloody murder. He was given every toy and balloon available by many teams but still no smiles. When I arrived two weeks ago he was an out-patient in the tents on campus waiting to have his cast taken off! (external fix to cast). He had it off last week. Now I can't walk outside without him yelling my name and covering me with hugs and smiles. His leg is severely scarred, but he has it! We plan on discharging him "home" on Monday....just not sure where home will be. I've only ever seen his 12ish year old sister. "i love the rain, but i hate it for them." I just learned that the anesthesiologist is sleeping in a tent. I’ve been frustrated, borderline angry for a week and a half because we can’t manage to get more than three surgeries done a day, usually only two. Anesthesia only works from 11-4. But she’s freaking living in a tent. She is a Medical Professional who has worked and studied in France, speaks at least three languages and actually has a paying job. If she can’t get out who can? I think the first time I was really sad was yesterday. Poverty is always disheartening. But I think one reaches a point of understanding it and isn’t as grossly affected by it. I’ve thought of myself as there. Yesterday I walked with my Creole teacher, a 16 year old whose parents have left him to fend for himself while working in Panama and the US. His tent is pitched next to what was once his house. It has a big red stamp on it marking it unsafe. It is. He doesn’t see a future for himself. He thinks his country is dirty and poor and hot. But he says he won’t leave. He says he wants to get education in the US and come back to help. He wants to be a doctor. He is brilliant. He could do it. I hope that he does. Most Haitians who get out don’t come back. I’m not sure I would. Brooke is officially leaving on August 31st. She needs about four nurses to do her job. I feel like I am successfully doing a small portion of it. I don’t think I can do it all. I am really enjoying myself. Days are hot and hard and my feet hurt and I’m tired of sweating and annoyed that I have to walk to the ER to find an available translator every 33 minutes in order to get anything accomplished. But we’re doing some good. I have helped nine patients receive surgery in the eleven days I’ve been here. Most of them were fractures and dislocations hanging out since the earthquake. Brooke and I went for a walk today. It was perfect. So nice to be able to vent my “nursy” feelings to one who understands. Believe me, all six of the long-termers are wonderful. But there is a different level of responsibility when you’ve taken an oath. That’s something they don’t get. They can’t. When patients die on our watch when something could have been done to prevent it…YOU could have done something to prevent it...it affects you. Deeply. It's that way for nurses in the States, and it doesn't change across an ocean. Paul Farmer said, “If I don’t work this hard someone will die that doesn’t have to.” I get his feelings. I know Brooke does. She’s been living it for 6 months. There is so much garbage going on here below the surface, so much mess and corruption. But everyday I update the census and delete someone’s name off of it (because they had been discharged). I know there is good happening. Only by the grace of God. Thank God for Sabbath. For those of you who haven't heard the hospital I am working at is Adventist, so they take their Sabbath on Saturdays. Very little, if anything, goes on at the hospital on this day and while it proves frustrating for patients and family members awaiting surgery, it is a blessing to be able to have a break. Yesterday following the church service I went along with about six other volunteers to a beach about two hours from us. Two hours being Haitian time, and after our drive out of the way to the Project Hope compound and a flat tire change we were at the beach for about two and a half hours. It was well worth the wait. I've heard tales of muddy beaches and rocky shores in Haiti, but this place was amazing. It was clearly a resort for white people costing $15 US for entry. The water was clear and beautiful and for the first time I felt as though I was in the Caribbean. The went swimming, ate hamburgers and enjoyed getting to know each other, although sadly, most of those volunteers left this morning. I am now beginning to realize Brooke's exhaustion with re-orienting a new doctor every week. Dr Pat and his Ortho team seemed to just have everything under control when their time came to an end. Dr Rich rounded with just me this morning (the crew dropped from about seven people to two in one day) and he seems flexible and ready to go. Please pray that the Haitian anesthesiologists are open to working hard this week so that we can get some of the 16 surgeries on the list finished. We only got six accomplished last week. As far as figuring out what my role is going to be here it seems to all be falling into place. I am working directly with the Surgeon volunteers making sure that their patients are ready in pre-op (labs, xrays, EKGs) and moving towards discharge in post-op. I am helping them schedule surgeries and will be working with the Haitian nurses and OR coordinator to make sure they get done. I also update the hospital census daily, right now we only have about 45 inpatients. All in all life in Haiti has been going well. I am beginning to establish some routine and feel as though things are are being accomplished. I'm sitting in the staff break room trying to decide what to write. Then it occurred to me that I just need to type what has happened to me the last hour. Let's start with this minute. 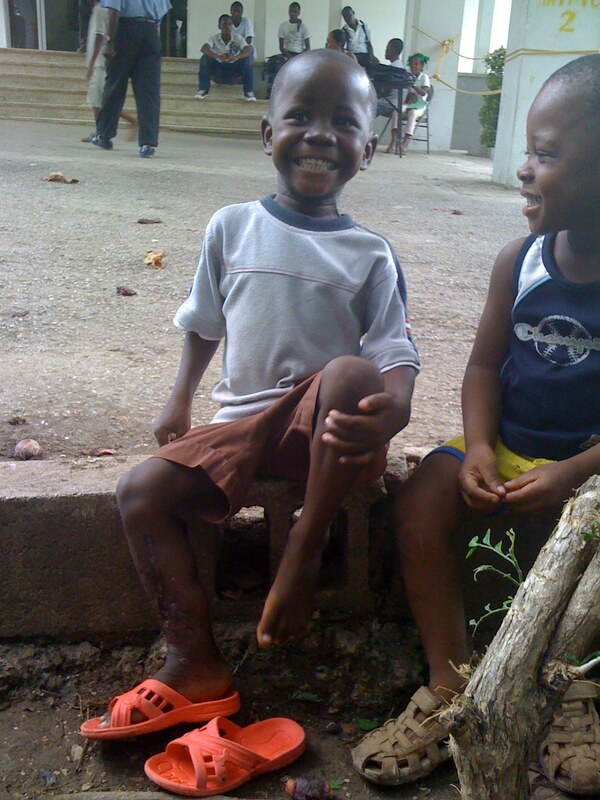 Jean Junior, a seven year old HIV+ patient is sitting on my lap. His father died in the middle of the night yesterday leaving him an orphan. We all love him so dearly that it's hard to want to find him somewhere to go...but we know that he must. He needs treatment. He needs adoption. Who adopts HIV positive children? Amy just pulled a suitcase full of donated clothes out of storage....Junior is going through them now. He only has what's on his back. About 30 minutes ago, Kristen, a third year pediatric resident from Loma Linda came up to me frustrated to death asking for new batteries for the pulse oximeter. She has a 3 month old in the ER right now struggling to breath. "I've done everything I can do, but he's wearing out and is going to die if I don't intubate him. I talked to Brooke and the only hospital with vents for baby's is full. This is so frustrating. I feel guilty....but I've done all that I can. Should I just intubate and bag him?? But we can't bag him for four days.....is this really all I can do!?" A baby has died everyday that I've been here. 10 minutes later she returned, "Jessica!! God is so good. The Haitian MD in the ER knows of another facility and they will even come get the baby! If everything goes well he can be intubated there tonight!" About an hour ago Dr. Pat and the ortho team finished their second case of the day (another frustration as there are 5-7 patients on the schedule but the Haitian anesthesiologists won't show up till noon and try to leave by 4pm). The operation was on a lady whose ankle has been severely dislocated since the earthquake. She has been walking on the side of her foot. Hopefully tomorrow she will walk close to normal for the first time in 6 months. Ighor is sitting next to me waiting for me to finish so that I can have my Creole lesson. Pray that this comes easily. I cannot explain how much easier my day would be if I can master this language. How amazing it is that our God understands them all. All my bags made it! I found my driver with no trouble at the airport. The patient I missed the most (Nadine) was sitting on the hospital steps when I arrived. There is a very "America" grocery store about 3 blocks from here. Amazing new friends in just 36 hours. Headache meds have worked (two days in a row). Sermon yesterday (Saturday=Sabbath) on total depravity...haha. Amazed at spot on theology. Got to sing "Healing is in your Hands" offertory in church. Preparations for Creole lessons underway. It's cooler than when I was last here! Ortho Surgeon arrived last night. Looks like the best way to reach me is through text messages. I have my same cell phone number. It's free for me to receive and $.10 to reply, but I can reply for free from 706-623-2515. So that's me if you receive a text from that number. My skype name is jezkascott and I also have a magicjack so making phone calls is no problem. If you need to talk to me just text and I'll call you back as soon as I can! I love and will miss you all! Thanks for all the prayers, they mean more than you know! "the only real nation is humanity"
Yesterday I returned from a few days at the beach with some of my dearest friends. While there one of my goals was to start and finish one of the books my brother gave me for my birthday in June. I'm proud to say I did it. I had asked him to give me some books on Haiti, whether that meant politics, culture, religion, medicine or really anything...as long as they weren't too long or too boring. I'm not sure whether he did research or just has a nack for picking books (I suspect both) but the one I've completed was unbelievable. It's called Mountains Beyond Mountains which is a Haitian proverb basically meaning that there are always going to be more hurdles even when you've overcome what is in front of you. The book is a biography about Dr. Paul Farmer (DP) by Tracey Kidder (TK). Dr Farmer is an infectious disease physican who graduated from Duke, then Harvard and spend the majority of his time (even while enrolled in classes) taking care of Tuberculosis and HIV patients in Haiti. 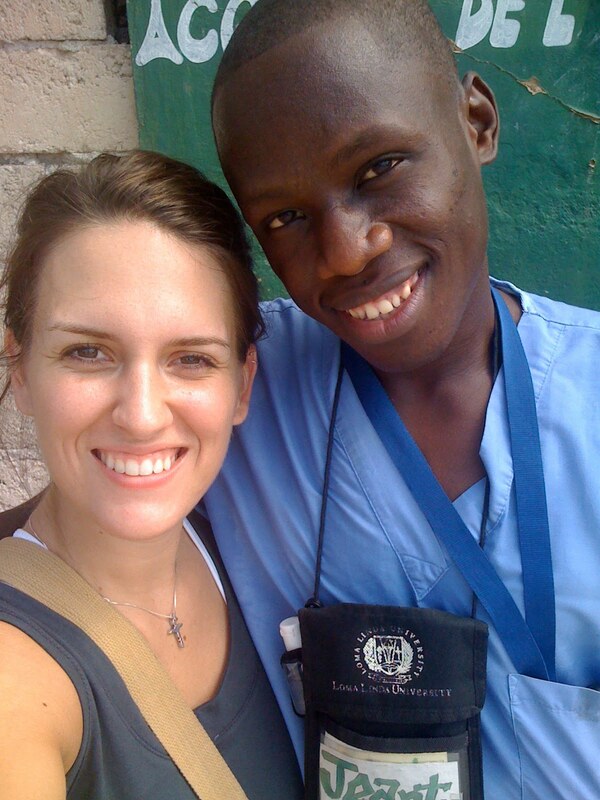 He left for Haiti at age 23 and almost singlehandedly started the organization Partners in Health (along with an 18 year old British girl) which is now serving in Boston, Haiti, Peru, Rwanda, Russia, Malawi, Burundi, Mexico and Guatemala. Crazy thing too is that I applied for a job with Partners in Health a couple months ago (that I was completely unqualified for) knowing very little about them, except their renown work in ID. Now I think I could easily work for them forever if the job ever presented itself. I can't really recommend the book to non-medical personnel as there were pages filled with treatments for multi-drug-resistent-tuberculosis and analysis on HIV medications (which I found intriguing). But if you think you can skim through those pages then I'm sure you'd find the book a phenomenal read. spoken to DP's associate...why do you call your patients poor people? They don't call themselves poor people!? "Ok, how about soon-dead people?" I remember signing the oath to assist the patient and do him no harm. I don't really remember signing that I would do it in a cost-effective way. 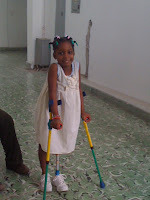 ~ DP (DP's team spent $18,000 flying an eleven year old boy from a village in Haiti to Boston for treatment. The patient was untreatable even in Boston. Farmer had no regrets). I wish I could explain all the ways this book has inspired, challenged, moved and given me hope. I'm not sure I can. But the fear that was inside to me, the freak out moments that I've had the last three weeks when all the sudden I'll stop while pumping gas or walking in Walmart and all I think is, WHAT THE H-E-double-hockey sticks am I doing?!?!?! are gone. I'm no Paul Farmer but I can give a lot of time towards relieving someone's misery.